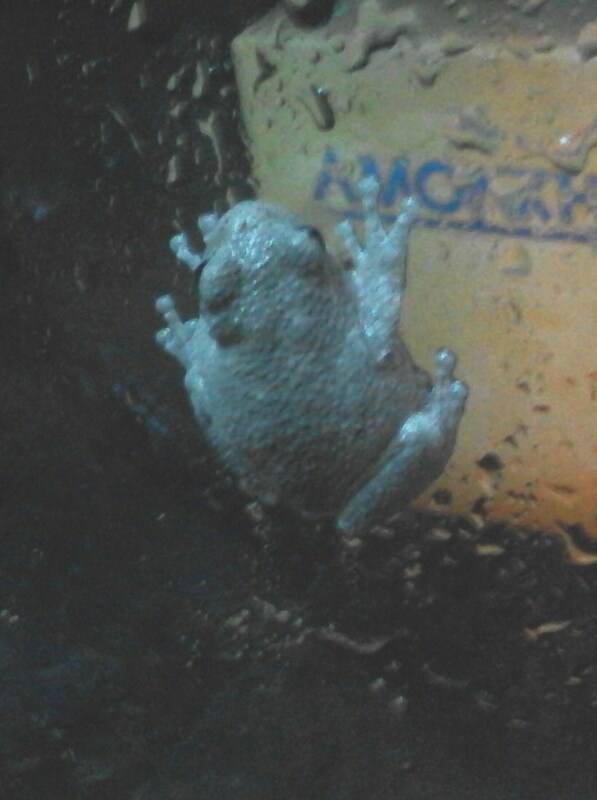 I was reading a forum on here where someone was saying gray tree frogs don't need a light? Care sheets I was reading said they need UVB and have been using a light. Just looking for some confirmation on this before I am committed. My light makes it a little too hot for a flightless fruit fly culture so not having the light would be great so my lil guy wouldn't only be eating crickets. 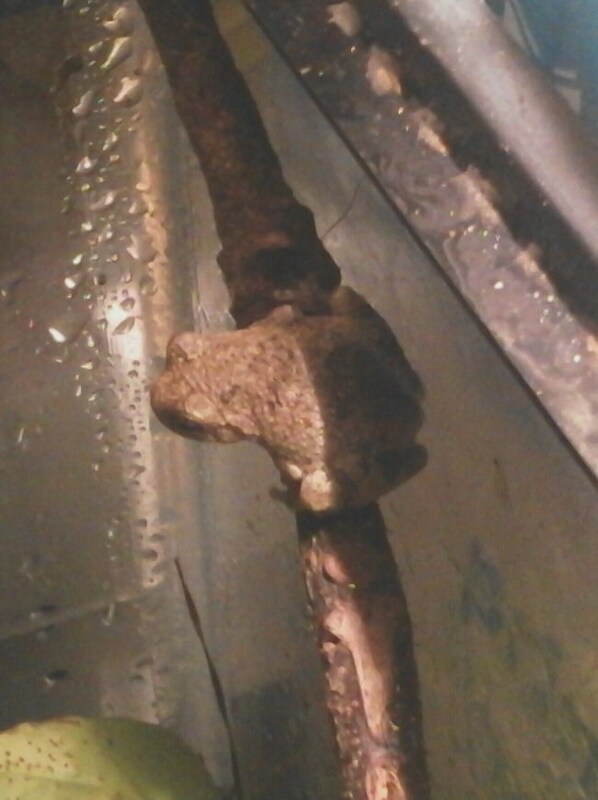 Re: Gray Tree frog does not need a light? A light is unnecessary, although I bet it would do better with UVB. They do bask in the wild. I just bought a uvb only light. Going to try that. I was using a spare uvb heat light I had extra from my turtles. I had moved the aquarium previously where i could position the light different and that helped. I think I will stick with the light, the new bulb won't put out any heat so I'm sure fruitflies will be happier. Til they get eaten. Turns out I didn't fry them after all. He's so cute! Hopefully he's OK with you adding the light to his cage. He's doing great and doesn't seem to mind the light at all. It's just uvb(has a blueish tint to the light), no heat and he's been eating every day. Moths and/or crickets, I never notice him eat the fruit flies but they are there. My son just got three of these. How do you feed yours? We put 6 crickets in the tank with them, will that suffice as a way to feed them? He is with us biweekly so two weeks a month I'll be feeding them alone and I want to be sure they are well cared for. I have 2 now and they are something like 1 inch and the other 1/2 inch to 3/4. I do about 3 smallest crickets I can get a piece per day. 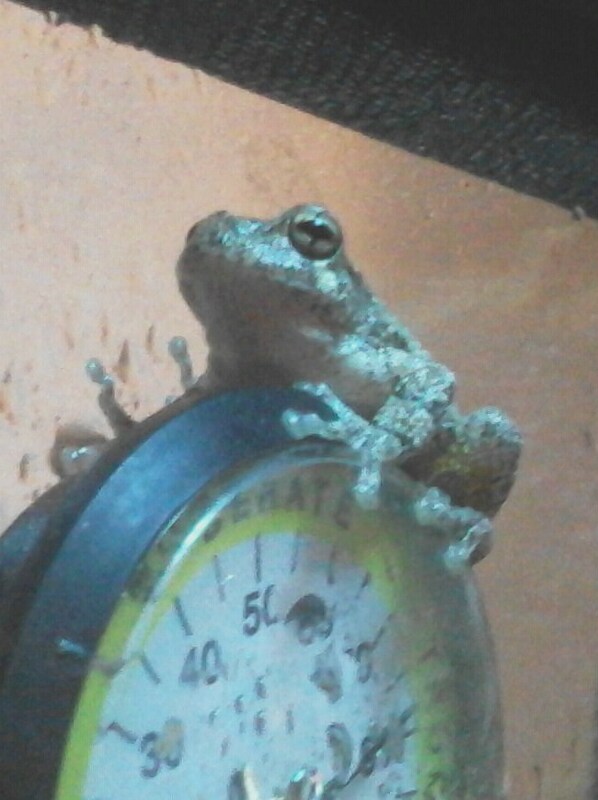 Adult frogs are supposed to be 5-7 every 2 days or something like that. I just halved the adult amount and was reading young frogs need to eat every day. They don't eat all of those usually and flightless fruit flies. I just put it them in the tank( a cap's worth). I just bought feeding tongs but haven't tried them yet. They are nocturnal so they do most the chomping at night. 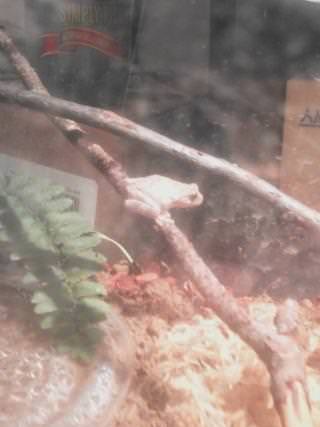 Some of the crickets hide behind the fake wall face that came with the terrarium. 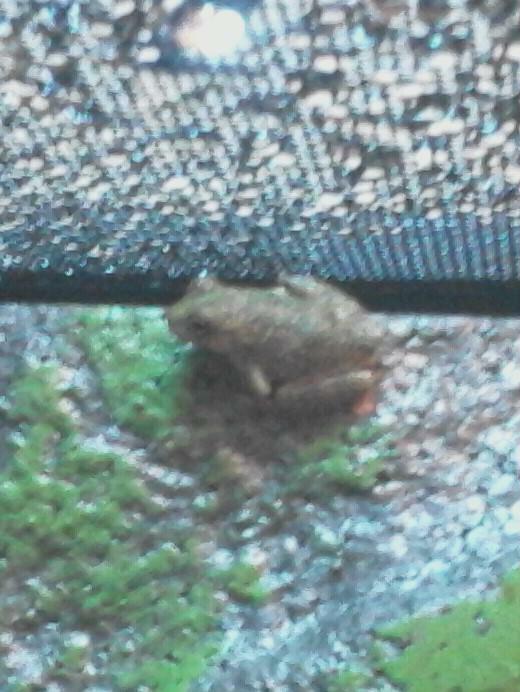 I feed them after i turn off my day light(uvb no heat). I've heard they don't need a light but the uvb cant hurt. Make sure you have a temperature and humidity gauge. Look up a care sheet. I'm definitely not an expert. I know mine are eating because I have poop to clean up off the aquarium sides. I sometimes get to see them eat. I have fed them small moths also. Those were also released into tank. I really like their color changing ability. Browns and greens and I've seen the little one do brown with his markings green. During the day mine usually just hang out at the highest point they can on the tank sleeping I guess.